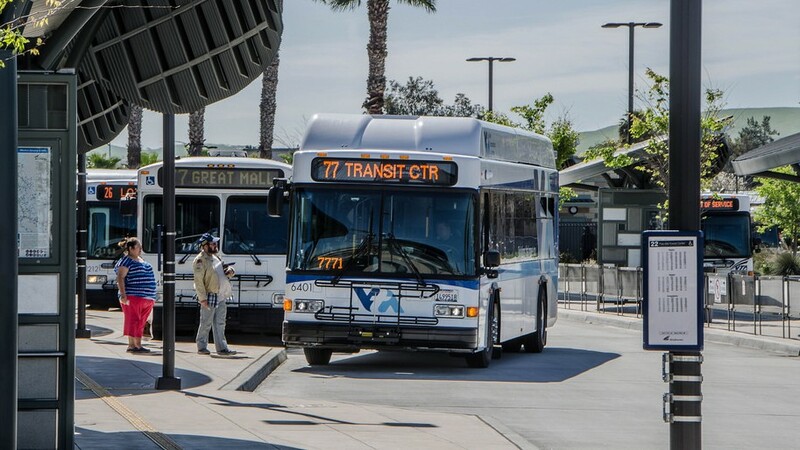 VTA makes quarterly changes to bus and light rail schedules to better align with local and regional transit services. DASH Downtown Area Shuttle Service – The timepoint will be moved from 4th & San Fernando to 4th & San Carlos. Schedule changes will be made to coordinate with the new Caltrain schedule that will take effect on April 1. Express 101 – The stops and timepoint at Vallco will be moved from Wolfe Rd. to Vallco Parkway due to long-term construction. Weekday schedule changes: 10,13, 14, 16, 17, 18, 19, 22, 23, 32, 35, 39, 42, 45, 52, 54, 55, 57, 61, 62, 63, 66, 68, 71, 81, 82, 101, 102, 103, 122, 180, 181 & 323. Saturday schedule changes: 14, 17, 19, 22, 23, 32, 39, 48, 49, 57, 66, 68, 82 & 323. Sunday schedule changes: 14, 17, 19, 22, 23, 39, 48, 49, 57, 66, 68, 82, 181 & 323. 55 - A. West Santa Clara Street, San Jose. 3331 N. First Street at River Oaks, San Jose. Building B Lobby. If you would prefer to have a schedule mailed to you, then please email your request to customer.service@vta.org. For more detailed information, visit www.vta.org/servicechange.